Companies in the top tier of employee engagement outperform their peers by 147% in earnings per share and have a 90% better growth trend than their competition. However, 87% of global workers are disengaged, sleepwalking though their day and giving you zero discretionary effort. They don't trust your leaders, they don't feel an emotional connection to your workplace, and they are only doing what they have to do to get by. 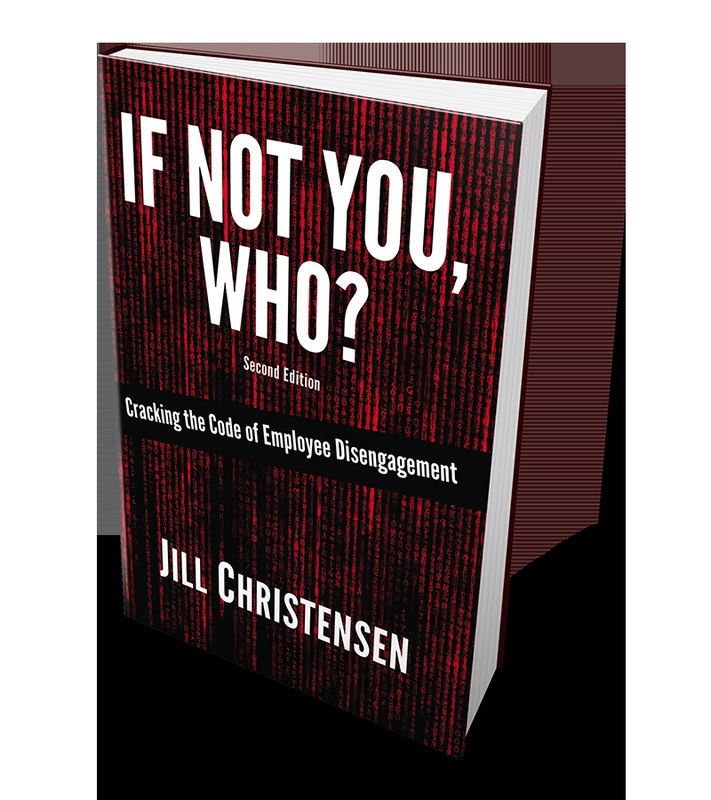 Jill Christensen, author of the best-selling book, If Not You, Who? Cracking the Code of Employee Disengagement, has uncovered a four-step strategy to turn your disengaged workforce into a unified high-performing team, resulting in increased proﬁts, customer satisfaction, productivity, and retention. Today, you’ll learn Jill’s solution, which you can implement immediately.